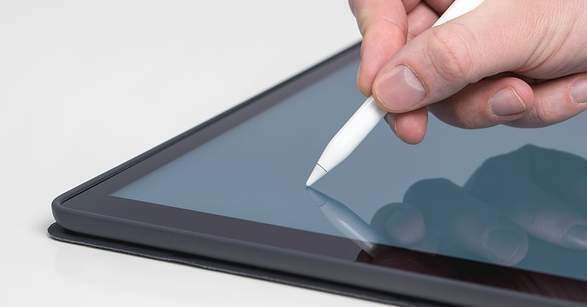 You may be using a laptop with touch screen. Sometimes you may come across such a situation that you are pointing to the screen but end up touching it unintentionally. And then something annoying or awkward happens. So you want to disable touch screen in order to prevent misoperation again. 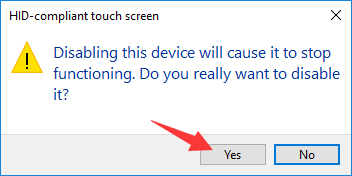 In windows, there is no built-in switch to turn on or off touch screen, but you can still do it with Device Manager, and the process is pretty easy. Here is how to disable touch screen on Windows 10. 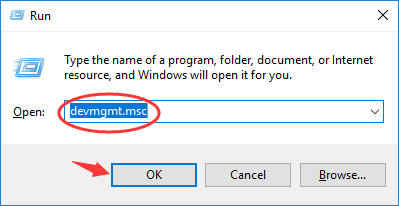 Press Win + R keys at the same time, type in “devmgmt.msc“, and hit OK.
On Device Manager window, find and expand Human Interface Devices category (by double-clicking on the item or clicking on the arrow next to it). Under this category, find HID-compliant touch screen. Right click on HID-compliant touch screen. On the context menu showing up, select Disable device. There will be a window popping up asking you to confirm your action, and you should click Yes. And that’s it! The touch screen of your computer has just been disabled. Try touching your screen, and you will find that nothing happens. That is also very easy. 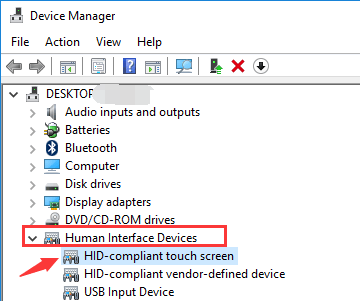 Just open Device Manager, expand Human Interface Devices, and right click on HID-compliant touch screen in the same way as above. But this time, we select Enable device. The touch screen of your computer will be enabled again!